This is his 64th article. Click here for his entire series. I have this picture of Michael Jordan and Kobe Bryant in my office. It is a cheap reproduction, out of a printer, that I acquired on the streets of Manhattan. The photo was taken on February 8th, 1998, in Madison Square Garden at the 48th NBA All-Star Game. I know this because, due to Commissioner David Stern’s generosity, I was sitting courtside at the event. The picture shows Jordan, in a shaved head to disguise his receding hair-line, gesturing and remonstrating at Bryant, who looks about 15 years old and has a callow youth smirk on his face. 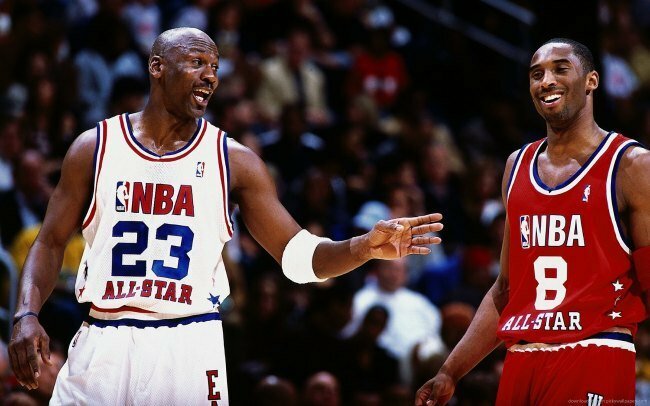 This was the first All-Star Game for Kobe and the last for Michael as a Chicago Bull. Kobe scored 18 points to lead the Western Conference while Michael scored 23 [his jersey number] and led the East to victory. He was voted the game MVP. One incident at the game left an indelible impression on me and tainted my attitude about Kobe for the rest of his career. The first time he got his hands on the ball, Bryant crossed center court executing a fancy dribble. Karl Malone, the perennial All-Star power forward from the Utah Jazz, did what he spent a career doing: he moved to the top of the key to set one of his brick-wall picks. Incredibly, Bryant waved him off, indicating he wanted a “clear-out” so he could go one-on-one with his defender. I thought Malone was going to run over to him and hit him. I have never been able to get over my reaction to that immature and selfish display. Bryant is now in the ebb of his career and about to overtake Jordan for third place in the all-time scoring lists. Coming off an injury year, he is nurturing an image as an “elder-statesman” of the game. He did a joint interview recently with Arianna Huffington where they both discussed the serenity that comes with meditation. However, to me, he will always be that smart-aleck churl who is more about “me” than “we”. I will never forgive him. Just as I will never forgive Yoko Ono for breaking up the Beatles [whether she did it or not]. Just as I will never forgive Charles Smith of the Knicks for having his shot blocked 4 straight times by the Bulls in Game 5 of the 1993 Eastern Conference Finals. Just as I will never forgive Zola Budd for tripping Mary Decker in the 3,000m Final in the 1984 Olympics [I was there, too]. And I definitely will not forgive Steve Bartman for interfering with the fly ball in Wrigley Field on October 14, 2011 and costing the Cubs the Series [whether he was responsible or not]. Some resentments never go away. On another level, the photograph is a metaphor for my present occupation: teacher. The old guy telling the young guy what life is all about. In addition to teaching the theories surrounding the prudent management of sports, I also attempt to weave some of the life lessons I have learned into every class. I discuss both my successes and my failures. I explain techniques that proved effective and those that fell flat on their face. 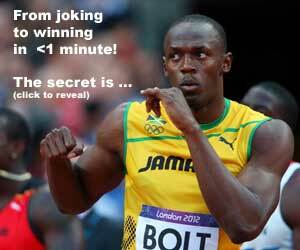 I emphasize the importance of preparation and planning. I try to paint a picture of the strange circumstances I have been placed in. And I try to accurately depict the zany and colorful characters that populate sports businesses. My new Dean at NYU, the eminent law professor Arthur Miller, recently asked me what motivated me to fly to New York, weekly, to teach three classes. My instant response was, “The ‘ah-hah’ moment”. That’s when you can see that the thought you are trying to convey gets through the clutter of contemporary cultural chaff and gets understood. Reward enough! Some of my students “get” the life lessons I am attempting to impart and they embrace them. Others vacuously look into space and probably are thinking, “When will this class be over?” Others, yet, give me a Kobe-like smirk and I am sure say to themselves, “What does this old fart know about the charmed life I am about to lead?” I can see it in their faces. For now, there are enough “ah-hah” moments to keep my energy and enthusiasm levels high. I love interacting with smart kids. I enjoy tangling with them intellectually. I smile at their naiveté and revel in their curiosity. They, in turn, keep me thinking “young”. They make me scrape the barnacles off my hide and accept that there are new horizons and new things to learn. They challenge my set ways. However, I will always be pissed at Yoko!